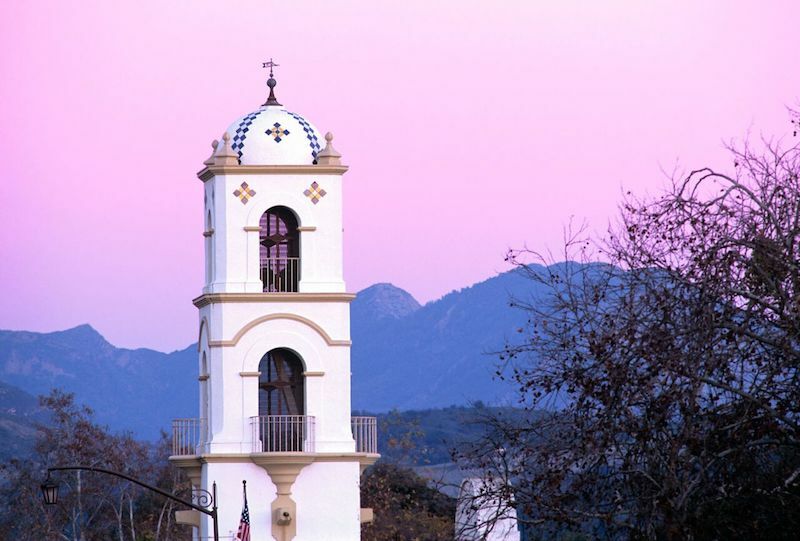 Ojai makes you forget that you're only 75 miles outside of Los Angeles. Its main street is dotted with local businesses that often have their owners behind the counter, and you can see the mountains from anywhere you stand. 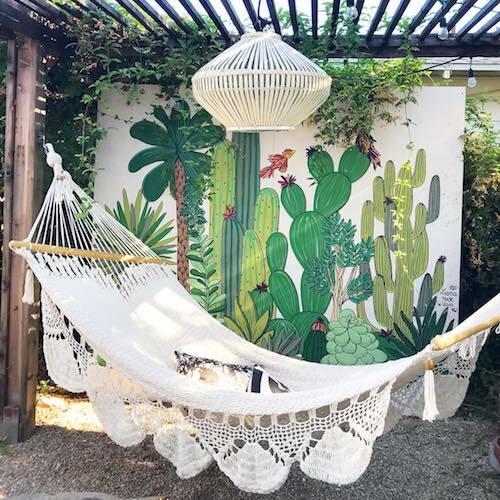 "Ojai is one-of-a-kind, there is no other town like it," Kathy Hartley, the innkeeper at Ojai's charming Lavender Inn and Spa, tells Citizine. "The setting is breathtaking and seems European with a mild Mediterranean climate. 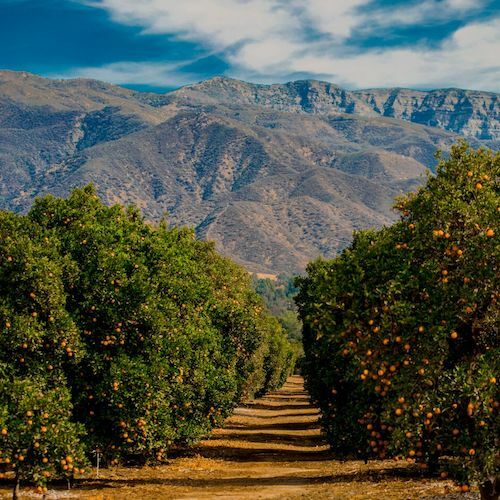 When I hike, I feel like I'm looking down on a Tuscan tapestry with the orange and Pixie tangerine groves, olive and avocado trees." 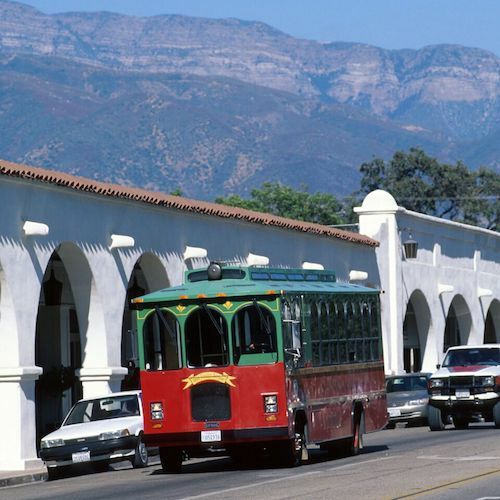 The breathtaking beauty of the town combined with its tight and welcoming community has brought a unique community to the area. "The town is a spa oasis and along with that comes a culture of health-minded locals," Kathy continued. "The availability of outdoor adventures again lends itself to a culture of outdoor enthusiasts of both locals and tourists. This is also true of the artist community." 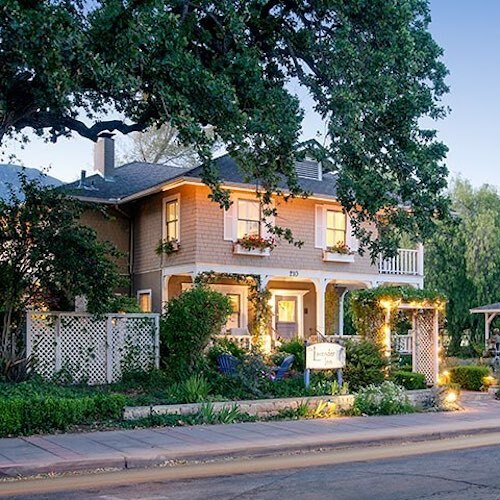 You can find the soul of Ojai in the Lavender Inn. Originally built in 1874 as a schoolhouse, it transitioned into a family home, before becoming a bed and breakfast in 1995. At the heart of the inn is its staff whose gifts include some great culinary skills. They're constantly cooking up breakfast specialties that are best enjoyed on the back patio with a coffee in hand while sharing stories with the other guests. Inside the inn, you'll also find beer on tap and a small day spa out front that's popular with locals and visitors alike. Kathy has made the inn a destination for more than guests though with her work with Inncourage and other non-profits. 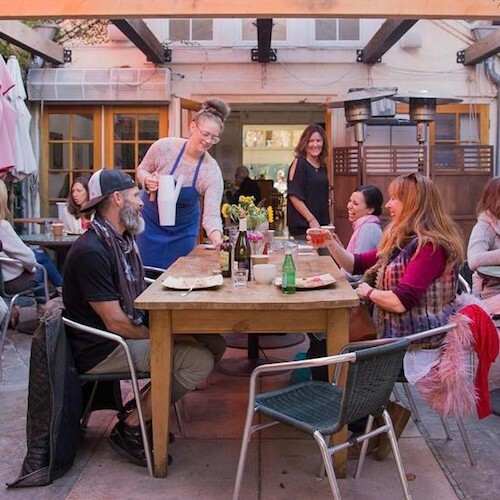 "After a few years of owning Lavender Inn and seeing groups of female friends take over the entire Inn for a couple of nights, I wanted to offer a similar experience for women who could not afford to get away and just have 'girl time'," Kathy told Citizine. "Taking it a step further, I envisioned a retreat for women with cancer who were in need of a getaway. I reached out to Ventura County Medical Resource Foundation, which introduced me to oncology departments in hospitals and founded InnCourage, a retreat for underserved women currently undergoing treatment for cancer." 10 years later, Inncourage hosts two retreats a year that offer a 3-day respite for patients with a healthy cooking class, massages, facials, the American Cancer Society Look Good Feel Better Program (beauty sessions with make-up and wigs), yoga, and an onsite, full-time counselor. "The participants benefit most from the bonding and from supporting each other and often remain friends throughout treatment and even years beyond the retreat," Kathy added. "Those 3 days are spine-tingling to my staff and me with these special, heartfelt women who claim the retreat has transformed their lives!" 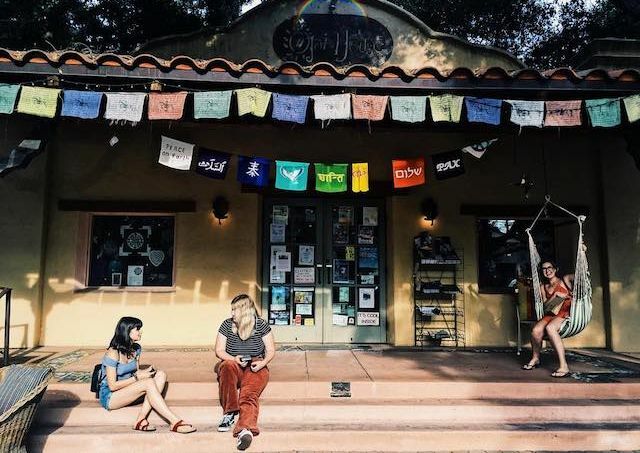 Kathy and Laura LaRue, another staff member from the inn, sat down to give us their guide to where to shop, eat, and drink in Ojai when you're looking for your own break from city life. Kathy Hartley: Bart's books has walls but no roof, creating an open-air, landmark bookstore with comfy nooks to read in. 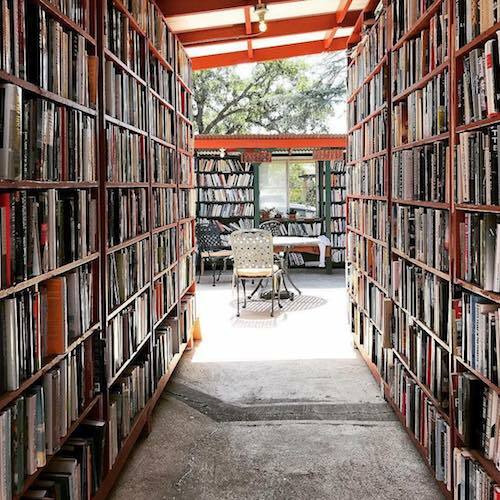 You can get lost, in a good way, in their endless maze of books! KH: You don't have to knit to love this store, though they do have exceptional yarns! I have bought books and gifts here. Laura LaRue: The beautiful interior is Santa Fe-meets-California. 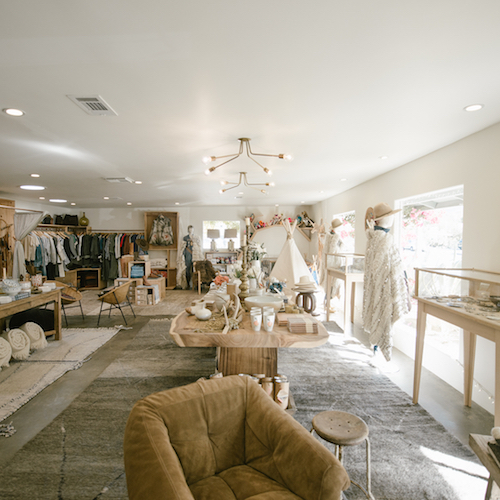 Amazingly curated by [an] adorable couple who travels the world meeting and spending time with the creators of their unique clothing, jewelry, purses, and more! KH: This is a great addition to an up-and-coming mini-community. KH: This is one of my go-to shops to buy from the vast selection of cards and reasonably-priced but unique gifts. 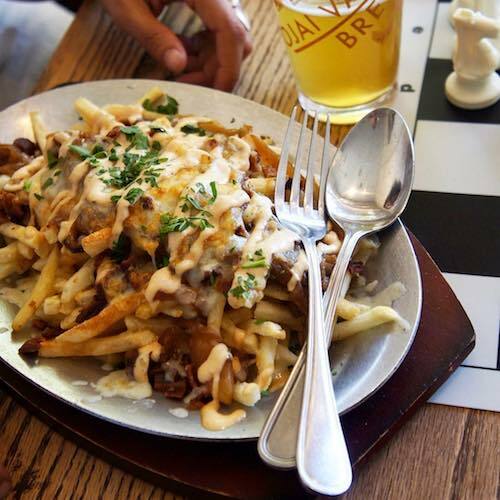 KH: Azu is popular with Lavender Inn staff, our guests, and locals. 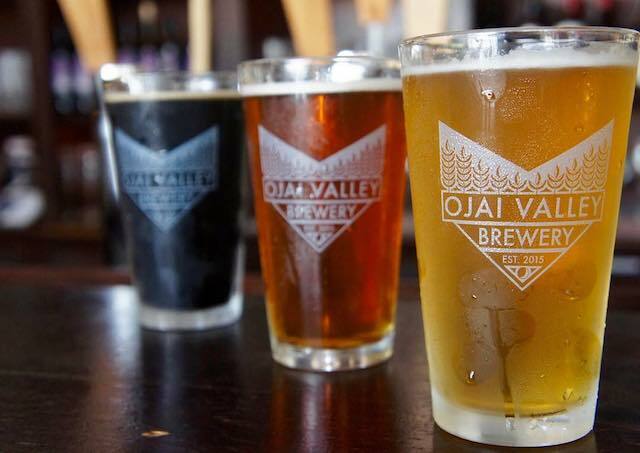 It is home to Ojai Valley Brewery; Lavender Inn serves their Pixie Pale Ale, made from local pixie tangerine zest and orange blossoms. The Mediterranean menu offers tapas and complete meals—all delish! 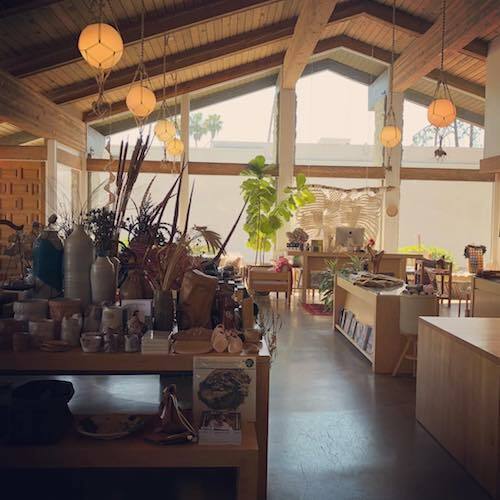 The atmosphere inside is friendly and cozy with an outdoor area as well, mostly for events. LL: Food Harmonics serves food that is organic and gluten free, sugarless, soy-free and GMO-free foods that are full of flavor, and leave you feeling healthy, nourished and perfectly satisfied. KH: Every bakery item in the family-owned bakery is not only picture-perfect, but also to-die-for when you taste it! The displays of breads and sweet items along with the interior of the bakery exude a feeling of being in a small European bakery. 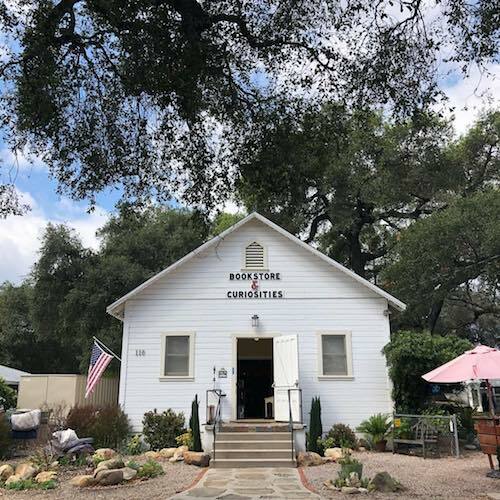 KH: Wonderfully curated picnic and housewares shop in addition to a small bar serving fine wines and beer, Sit in the backyard with a retro trailer serving as an outdoor bar while sipping a libation and enjoying an aesthetic cheese board. 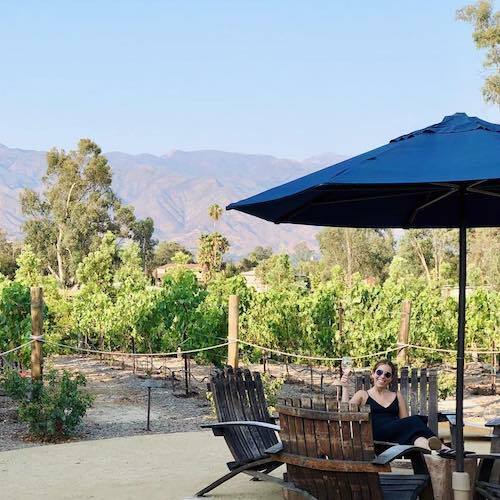 KH: A winery setting for grown-ups, yet family-friendly. The setting is breathtaking and beautifully lit at night. Food trucks are on site, but you can also bring your own food. The wine varietals are tasty with each innkeeper having their favorite. 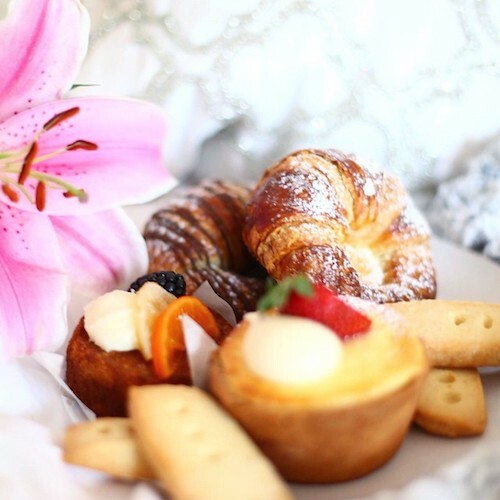 Mom-&-pop bakery offering artisanal pastries, desserts & daytime eats in a bright, cheerful setting.